Komen’s Bold Goal is to reduce the number of breast cancer deaths by 50% by 2026. With your help, we can meet this goal and save lives right here in our community through education, screening, treatment, and crucial research. Did you know that lymphedema can result from breast cancer surgery or radiation therapy? Komen New Orleans is funding the program that help women manage their lymphedema from breast cancer at West Jefferson Medical Center. This Komen funded grant employs prevention techniques, sleeve garmets and therapy. 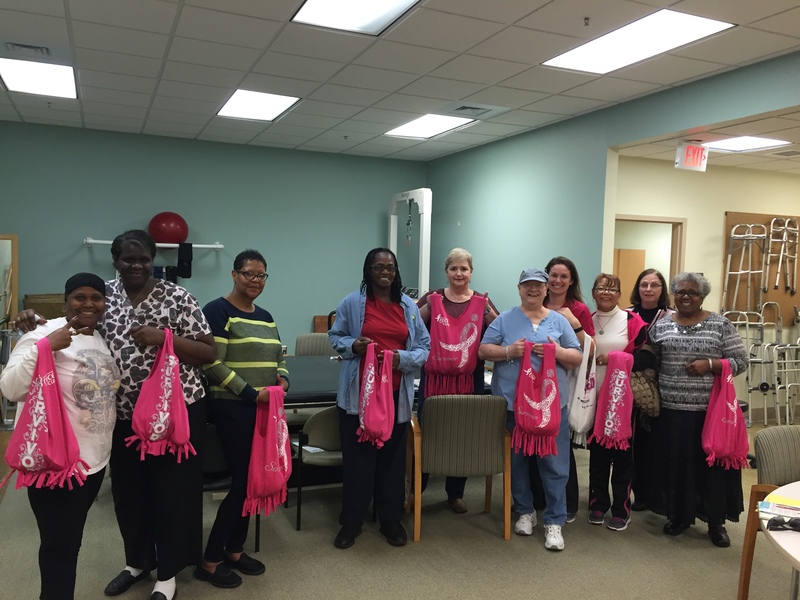 Pictured are members of the West Jefferson Medical Center Lymphedema support group who discuss coping mechanisms, practice stress reducing activities, and who repurpose Race for the Cure Survivor shirts into no-sew shoulder bags.